Home science olympiad Science Olympiad 2018: The art of simplifying Learning for a Brilliant tomorrow. Science Olympiad 2018: The art of simplifying Learning for a Brilliant tomorrow. 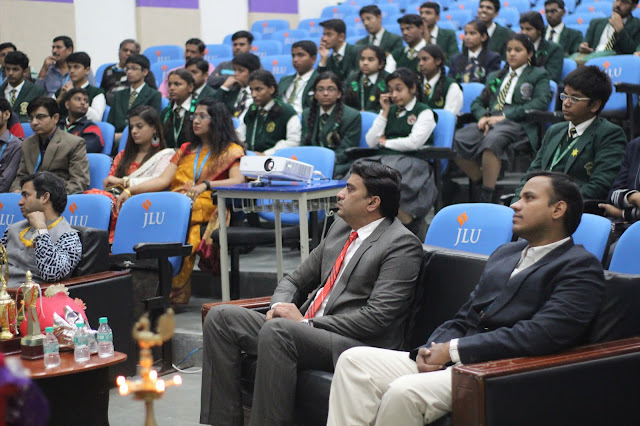 JLU School of Engineering and Technology (SoET) organized a "Science Olympiad" on November 30th. 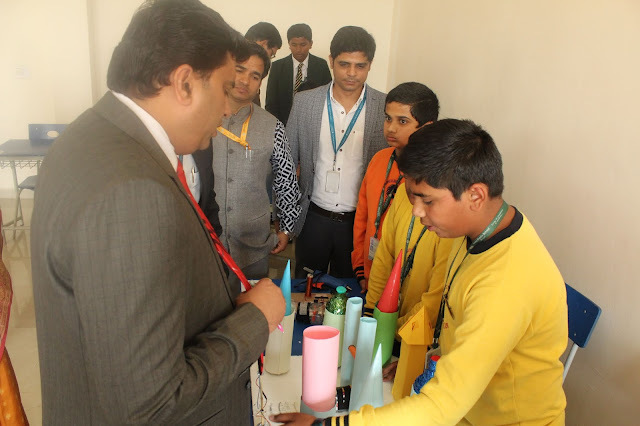 The Olympiad was conducted with the mission to foster stronger relationships among different schools across Bhopal and exchange of scientific skills. The competition was held in two categories: Quiz and Working Model Presentation. In Quiz Competition, Akshat Chopra from Delhi Public School, Kolar Road Bhopal bagged the first prize whereas second prize was secured by Lavish Sonbhurra from Model School, Bhopal. Reading in details about the working model presentation, numerous innovative models were roffered by the students. 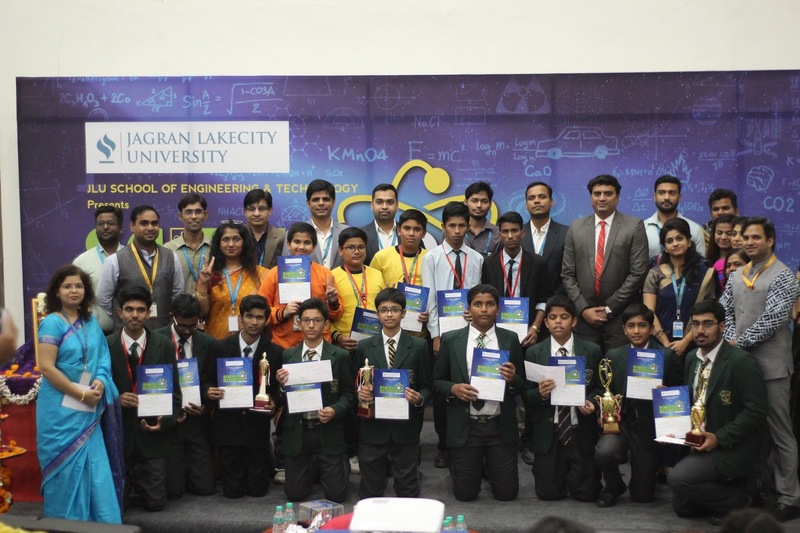 Amongst them, team XANTHIUM-256 from Delhi Public School, Bhopal comprising of Nayshreyash Umrao, Aaryaman Pratap Singh and Aaryan Moorthy seized the first prize. In their model, they had designed a robot based surveillance system which was prepared using E-Waste. The second prize was achieved by a team from Delhi Public School Kolar Road Bhopal comprising of Aditya Sai Vardhan and Saket Dwaraka for their blind eye based model. The winners were awarded a cash prize of Rs. 11000/- and a trophy. The runner-ups were awarded by a cash prize of Rs. 7000/- and trophy. Furthermore, the students who secured third and fourth positions were awarded consolation prizes.